Lark Writes...on books and life: Shameless plug! My brother-in-law did the fabulous artwork and my sister wrote the fun text. It's the second book they've done together. 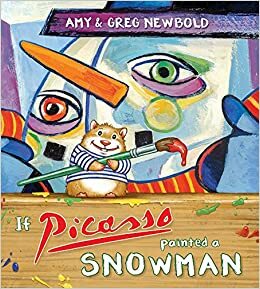 Their first picture book, If Picasso Painted a Snowman is also still available. They'd make great gifts for the budding artists in your life. Or for the kid in you. I got If Picasso Painted a Snowman for my great-niece for Christmas last year after seeing it here! (Of course, I read through it first--a couple of times--because it was such fun.) Now, I know what I can get her for Christmas this year. Thanks, Lark! Oh.MyGosh! how cute!! I am off to check out their sites!! Love the book covers! Really cute! 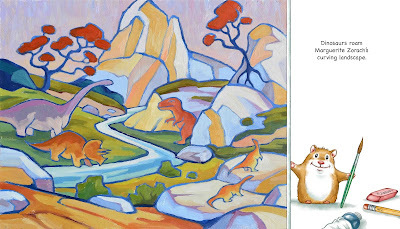 What a great way to introduce kids to art. Love it! Wow! Congrats to your sis and bil :) That is awesome! So glad you mentioned these books - talk about awesome gifts for my friends with kids :) Thank you!! Oh my goodness! This is too cute! Those are so awesome! Congrats to them on their new book! 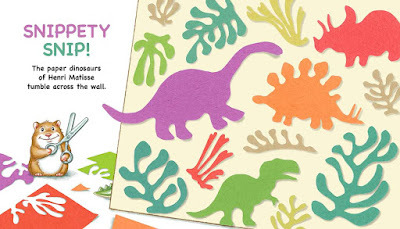 Agree, this is awesome and kids are fascinated with dinosaurs, who isn't and the talented artwork and text by your brother in law and sister a great way to get kids interested in DaVinci and Picasso. I love how they pulled from famous paintings to inspire their own pages. Hi Lark Lovely to see you over at Pen and Paper, you are most welcome to stop by anytime. 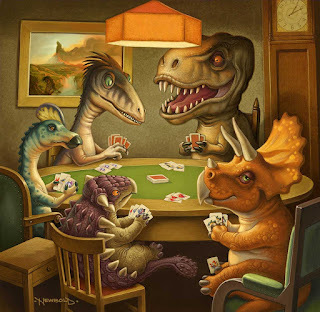 What an amazing concept and great illustrations to boot. I have to share these books with my friend who teaches art and having triplets of their own is always on the lookout for books featuring the subject which they can share with them. I love Greg's artwork. It always amazes me. That artwork is so cool. What a great looking book. The artwork is gorgeous, Lark. Both books sound like a lot of fun! These are great books! Thanks for telling us and I've just gotten them for my daughter to give to her niece and nephews. Perfect!